More than 100 archers from across the region competed in the Archery Club's first event of the year. The Case Western Reserve University Archery Club took to Adelbert Gymnasium on Saturday, Nov. 11 to host the 27th annual Caskey Tournament. The tournament featured approximately 110 archers of all ages and colleges. Students came from Ohio University, Ohio State University, Edinboro University of Pennsylvania and many others. Even some CWRU alumni participated. There were two sessions during the day. The first started at 9 a.m. and ended around noon. Archers then reported their scores from that round. Treasurer Yuta Hozumi described how the tournament works. “The format of the tournament is three arrows per end, and 20 ends in total. Maximum score obtainable is 600 points,” he said. In the gym there was a vibrant buzz. It was clear that the participants and their families were serious and enthusiastic about archery. Even young children were involved in the day-long event. The tournament is split into age divisions while college students have their own division. CWRU students contributed solid performances throughout the day. Colleen Laird placed third in her division; Kyra Espinosa, Matthew Dean and Horace Cheng placed second; and Nikhil Edward and Rick Aguinaga placed first. Third-year student Kyle Smolinski helped participants check in and report their scores. He said that everything went very smoothly, and there were no major hiccups. He attributed the flow of the day to all of the club members helping out as much as possible. 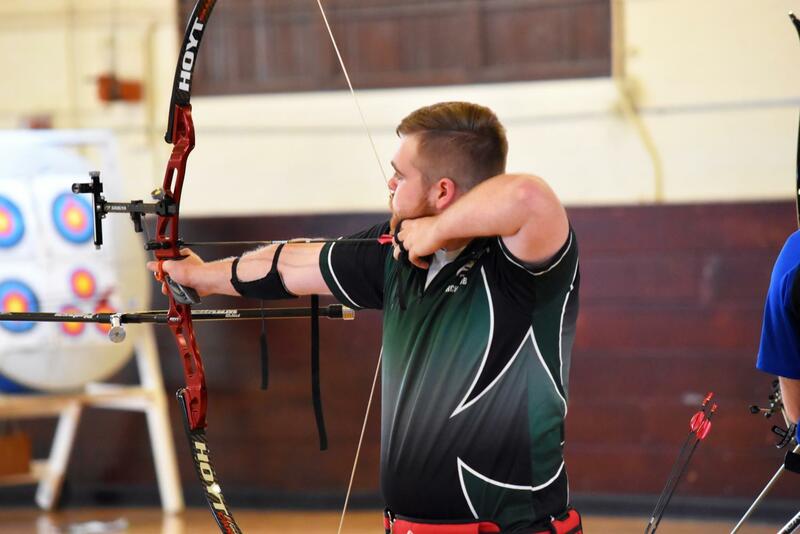 Smolinski also mentioned that this is only one of the tournaments that the Archery Club hosts. The other two are the Great Lakes 900 Round and the Ohio State Indoor Tournament. First-year students Quan Nguyen and Nam Hoang were among the archers on Saturday. It was the club’s first tournament of the year, and both were ecstatic to get into the competition. For Nguyen, his first experience in competition was solid. He was impressed with the capability of other archers and enjoyed the day as a whole. Hoang was also impressed, but for a different reason. He said that he had never seen so many bows costing more than $1,000 and was trying not to step on them. He also mentioned that he was proud of his shooting, and that it was better than he expected. The club has formal meetings every Monday night with a team coach and informal practice Tuesdays through Fridays. Their next competition isn’t until February, but they will be eagerly preparing nonetheless.